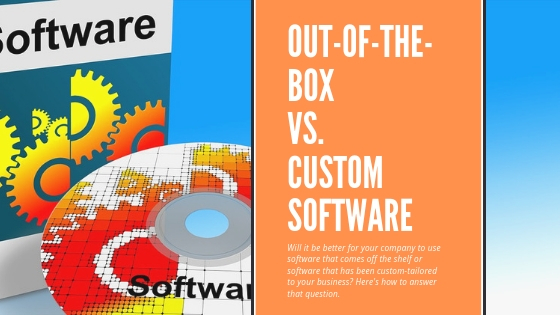 While boxed software is a perfectly viable solution for some business settings, companies often find themselves wishing for more power and flexibility from their technology. Tailor-made software solves a number of problems for these firms. Here are ten benefits of tailor-made software. 1. You control the software development. With custom software, you are involved in the development process from start to finish, ensuring the end result aligns with your company needs. You know your business better than anyone. You need software that works with your priorities. Custom software development creates software that does just that. 2. You can include only necessary features. With tailor-made software, you don’t have to worry about needless features that add complexity and cost. 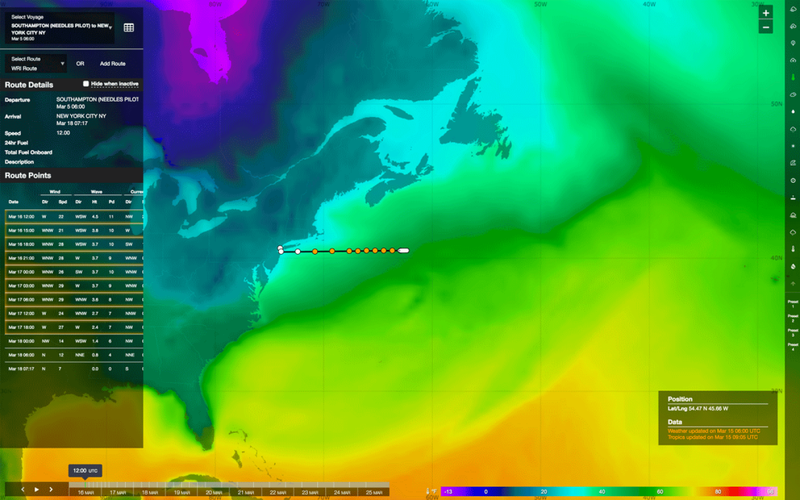 Decide what your software needs to do, and it can be designed to match your requirements. Gather input from stakeholders, and give them a better user interface and better software. Custom software allows you to have features you need – and only those features. 3. Boost your team’s productivity and efficiency. By focusing on only necessary features, you can ensure your software matches how people work. Incorporating an intuitive user experience and simplified data entry removes confusion and guesswork. By streamlining and automating the steps in a complex workflow, the time to complete processes that previously took days to complete can be reduced by as much as 50% or more. The issues arising from human error can be drastically reduced. 4. Tailor-made software costs directly relates to value. With increased efficiency comes greater value. Custom software ties costs directly to that value. There is no ongoing cost of seat licenses or maintenance, and because a custom solution is tailored specifically to your business processes, redundancies and bottlenecks can be eliminated. This saves time, money, and productivity that otherwise would be lost. 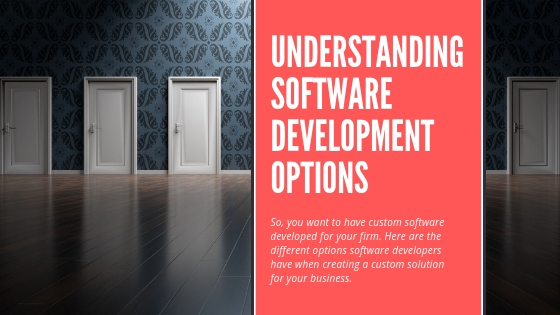 While upfront cost may equal or exceed a packaged system, custom software development helps lower costs in the long run. 5. You will own the IP. Off-the-shelf software typically work on a licensing basis: you purchase permission to use the software but do not own it. By contrast, a custom software developer builds your product and you retain full rights to the code. The tailor-made software solution becomes an addition to your intellectual property portfolio and boosts your balance sheet. As an additional benefit, you will be able to explore options such as marketing your custom software to other industry players. Owning the code enables you to be more flexible in your use of the software than you otherwise might be with a boxed product. 6. Gain an advantage over competitors. Along with increased creative flexibility, tailor-made software can create a business edge by separating your organization’s offerings from others. Consider the possibility of providing your customers a dedicated professional looking and feeling portal, giving them self-serve access to data and other services not otherwise available. 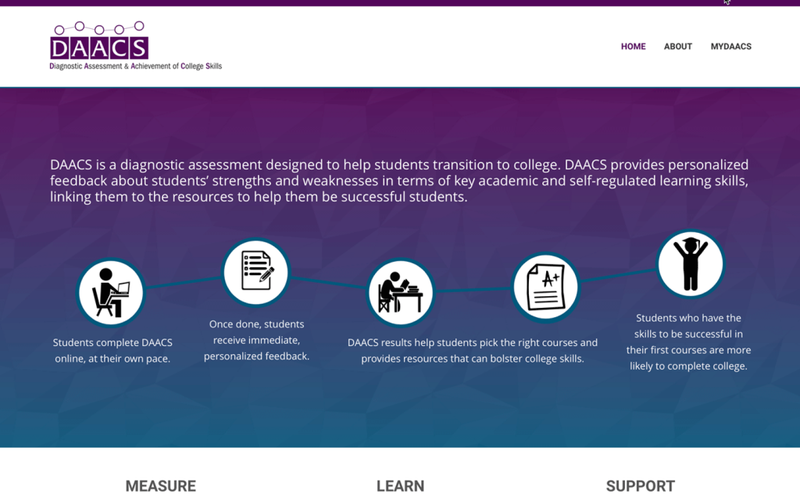 Or focus internally by providing a continuing education platform that facilitates both training of new employees and sharing industry knowledge between more experienced personnel. 7. Scale the software as your business grows. A small business generally won’t have difficulty finding inexpensive software that can meet most of their needs. However, as the business grows it will need to meet the demands of an ever-changing market. Boxed software for large businesses may be overkill, and for a small business, the cost may be a non-starter. Custom software ensures your business avoids becoming stuck; as your company and its marketplaces evolve, so too can custom software. This ensures you have the best match for your needs. 8. Improve your company’s reaction time. With software projects, challenges arise in the form of unforeseen needs and adjustments. As your business grows and needs change, the ability to adapt your technology to demands is vital. Custom software development accommodates expedited alterations. You’re no longer at the mercy of the packaged software developer, hoping that their timeline for updates aligns with your needs. Custom software creates changes and tweaks on your schedule. 9. Beat the countdown to obsolescence. Prepackaged software runs the risk of becoming outdated due to factors beyond your control. When this occurs, support fades, and software updates become sporadic. This leaves companies scrambling to address new risks. Custom software can help improve legacy systems so that essential functionality is retained and introduces new standards and trends. 10. Receive personalized technical support. Because a custom solution is tailored to fit your environment and specifications, an in-depth analysis of your business is necessary. This allows the developer a better understanding of your business processes and software requirements. 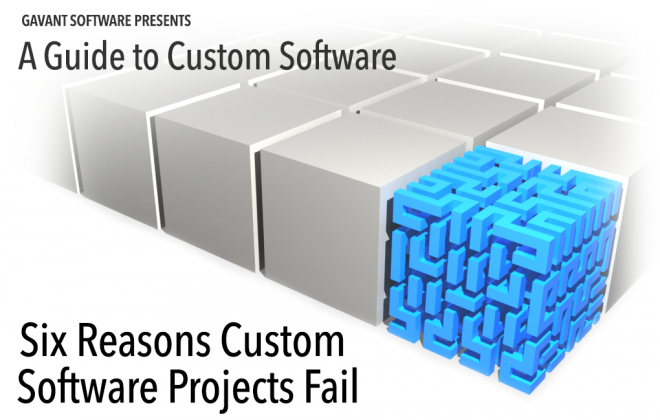 If an issue arises with your custom software, you have a partner in coming up with a solution. Any issues that crop up are easier to recognize and intervene with, thanks to the developer’s familiarity with the software project. Should opportunities present themselves, you’re able to address and capitalize on them much faster. Take advantage of tailor-made software today. 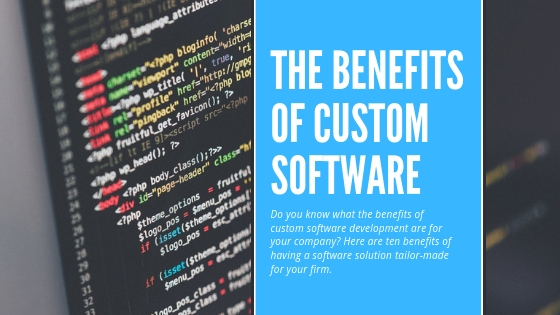 There are many benefits to having custom software developed for your company. Contact us to receive a free custom software consultation and learn how tailor-made software can help your business. If you’d like to learn more first, you can download our free e-book, A Guide to Custom Software Development.